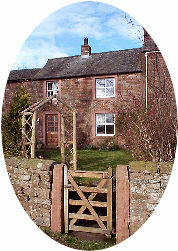 Tumpline Property features a range of Holiday Cottages in the Eden Valley of Cumbria, on the outskirts of Carlisle, close to the English Lake District. Cottage Holidays in the North West of England. Lyvennet Cottages are situated in and around the small farming village of Kings Meaburn, west of Appleby, in the beautiful Eden Valley, on the outskirts of the English Lake District. 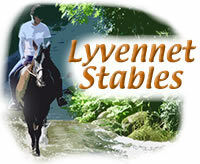 Brand new purpose built stables offer 5 star comfort for your horse while you enjoy the excellent facilities in any of the Lyvennet Cottages. Steele’s Mill is a newly-restored corn mill sitting in a quiet, idyllic setting on the banks of the River Lyvennet in Cumbria. It includes a viewing balcony where you can relax, take in the wonderful views and become acquainted with the inhabitants of the river, which include kingfisher, dipper, brown trout, heron and the occasional otter. Steele’s Mill is family-run with a friendly welcome and service. An ideal base for an active outdoor or touring holiday, it has a high standard of accommodation, including a fully fitted kitchen/dining area which features the original mill workings behind glass. Town End Farm is a working farm and the family has farmed here for many generations. Visitors to Town End Farm Cottage are invited to wander over the 200 acres of farmland running along the beautiful River Eden. In Little Salkeld village a working mill grinds organic flour to make delicious bread, available at the teashop in nearby Melmerby. Only half an hour's drive from Carlisle and Gretna Green on the Scottish Border, and 10 minutes from Penrith, the northern lakes are easily within driving distance, and with the accessibility of the M6, the southern lakes are only an hour away. The Farm welcomes well-behaved children to help on the farm at the owner's discretion. Parents must encourage their children to be careful and sensible whilst helping. 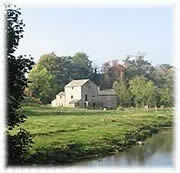 River Eden fly-fishing is available for two rods, please ask for details. The complete guide to travel, accommodation and real estate in the Brisbane & Surrounds area.